of a romantic Vermont bed and breakfast. 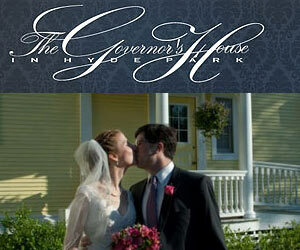 The Governor’s House offers elegance and luxury with the warm welcome of a romantic Vermont bed and breakfast. Close to Stowe, it combines old-world charm with modern luxury. A perfect place to enjoy beautiful New England fall foliage, take a relaxing sleigh ride, or just get away from it all. Centerpiece of the charming, quiet village of Hyde Park, just nine miles from the world-class resort of Stowe, Vermont, and the closest inn to Johnson – the home of Johnson Woolen Mill and Johnson State College. This fully-restored historic mansion boasts beautiful old woodwork and is stylishly decorated with period furnishings. A full three-course breakfast is included with your stay at the bed and breakfast and tea is available any time. A full English afternoon tea, described as “the most proper tea this side of the Atlantic”, is available on some afternoons. With advance notice we can provide meals or pack a picnic lunch. A highly recommended historic Vermont Inn. Ask us about Stowe area lodging. If you would like to add your Stowe Vermont Country Inn, Lodge or Bed Breakfast Inn to this web site, please contact us.